I remember the Sunday driving home from church when my wife said, “Wow, I think I was able to listen to the whole sermon today.” Our kids had finally reached the age where they were able to sit still in our church’s service without needing attention. Now we’ve “started over” with two more children. There is no doubt that welcoming children into the service is difficult for parents, but I am convinced it is the best thing for the children, the parents, and the whole church. Why would we want to take this God-ordained, Bible-prescribed means of grace from our children, especially if they are unregenerate? My children need the preached Word of God just as much as I do, and they need it in the context of the whole Body. Can it be difficult for moms and dads to hear while caring for a younger child? Absolutely. But even that is transforming. Not only is learning to hear the preached Word important and transformative for the children, working to patiently train children to hear the preached Word is sanctifying for their parents. Are human beings easily distracted? You bet, especially in an increasingly entertainment-minded, fast food society. So maybe forcing myself to engage carefully with the sermon while a toddler fusses across the aisle as her mother sorts through her purse looking for the Fishy crackers is sanctifying for me as well. And maybe my encouraging and reassuring smile to the frantic mother is the Body of Christ at work. Some of the rationale for taking children from worship is a secularist education philosophy. Rejecting the philosophy of education prior to him, Horace Mann argued for the systematization of education in which students were grouped into peer groups of similar ages and locked into fixed learning paces. Later, Granville Stanley Hall, a Darwinian evolutionist who also had a significant impact on the dominant education philosophy of the day, taught that children evolve from a primitive stage to a more enlightened stage, mirroring the evolutionary stages of humankind, and thus children must be educated apart from their parents lest their development be hindered. This philosophy was applied by the father of modern public education, John Dewey, who further argued that parents were incapable of educating their own children. Therefore, the public school, not the home, was considered ultimately responsible for the instruction of the next generation. It wasn’t too long before Christians began to accept and adopt this underlying philosophy of education. While Christians initially rejected the Darwinian foundation of this philosophy, they nevertheless bought into the idea that experts were better equipped to educate children than their parents. Even worse, this philosophy began to make its way into churches as well, impacting philosophy and practice of the discipleship of children. The growth of the public education system, with its graded structure of peer groups, further exacerbated the shift in church education philosophy; since children and youth were accustomed to spending most of their time in peer groups, away from their parents and most other adults (except the “expert” teachers), they no longer wanted to be a part of intergenerational church gatherings. The fact that savvy entrepreneurs deliberately created sales markets based on increasingly fragmented age and social demographics only increased divisions between generations within churches. 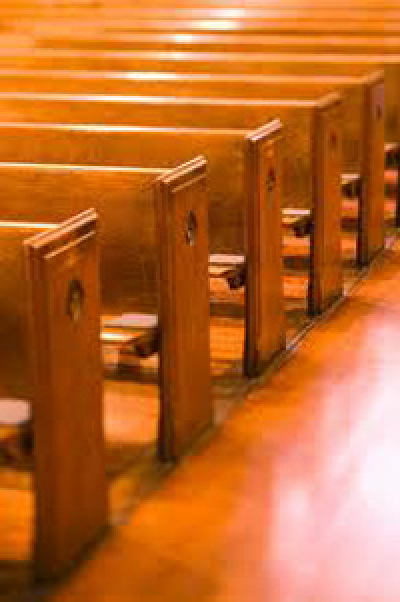 It was in this environment, both within the church and without, from which programs grew like modern Sunday Schools—church education hours for children often substituting for regular spiritual discipleship in the home—and children’s church—a meeting for children during the regular “adult” service. Some churches have even created gatherings and substitute services for teenagers, not expecting integration into the larger body until after graduation from high school, if even then. Parenting is hard work; there’s no doubt about it. This is why young parents—moms in particular—need the whole body surrounding them and encouraging them while they seek to parent their children in the service. They’ve been at it alone all week; wouldn’t it be a wonderful thing to have an experienced empty-nester step alongside the struggling parent, offering a helping hand, a word of encouragement, and a supportive comment? Do parents sometimes feel like they need a break from parenting? Sure they do, especially in a society in which “me time” has become the priority above anything else. Perhaps setting aside my interests for the spiritual benefit of my children is a blessing to me as well. There is certainly nothing wrong with a mom and dad getting a sitter and taking an evening for themselves, but why would we “take a break” from parenting during the most important hour of the week? What does that communicate to our children about the importance (or lack thereof) of corporate worship? The same was true after the people conquered Ai on the other side of the Jordan; they gathered to worship God, and “there was not a word of all that Moses commanded that Joshua did not read before all the assembly of Israel, and the women, and the little ones, and the sojourners who lived among them” (Josh 8:35). Even within the Law, God gave specific commands that when the people gather for worship, they should do so as households (Deut 12:7, 12; 16:11). This precedent continued whenever the people gathered. For example, when King Jehoshaphat prayed on behalf of the people at the temple, “all Judah stood before the Lord, with their little ones, their wives, and their children” (2 Chr 20:13). When Joel called the people to a solemn assembly of repentance, he commanded, “assemble the elders; gather the children, even nursing infants” (Joel 2:15–16). Likewise, after the people returned from exile and rebuilt Jerusalem, including the temple, “they offered great sacrifices that day and rejoiced, for God had made them rejoice with great joy; the women and children also rejoiced” (Neh 12:43). It is God’s desire to be praised, not in groups divided by age demographics, but in a multigenerational context, “young men and maidens together, old men and children” (Ps 148:12)! Nothing changed for the New Testament church. Whole families came together when churches gathered. One example of this in the book of Acts is Eutychus, a boy who listened to Paul preaching in a service in Troas late and fell asleep, falling out of a third-story window (Acts 20:7–12). When Paul wrote instructions to children in his letters to the churches (Eph 6:2–3; Col 3:20), letters he intended to be read aloud in their church gatherings, he clearly envisioned children as part of the congregation. Nowhere in Scripture, either in the Old or New Testaments, is there ever even a hint of some kind of age segregation in the context of local church gatherings. The words sounded so strange in the ears of the apostles. He is the master, they may have whispered to each other. He is trying to teach here, and these children are just distractions! Why doesn’t he just bid them depart? That day on a hillside in Galilee, Jesus of Nazareth—Son of God—welcomed little children into his arms, and in so doing, he provided a stunning picture of his perspective regarding children. Yet this perspective has, perhaps, been lost among Christ’s own people today. Today the followers of Jesus copy, not the example of their master, but the example of his disciples, they who turned the children away lest they distract the adults from hearing Christ’s teaching. So let the little ones come. Johnny and Susie need it. And the whole church needs it, too.